A quick baby blanket for a couple at church. It's lightweight with cotton on the back and no batting. She was a Texas summer baby, so I thought this would be appropriate. 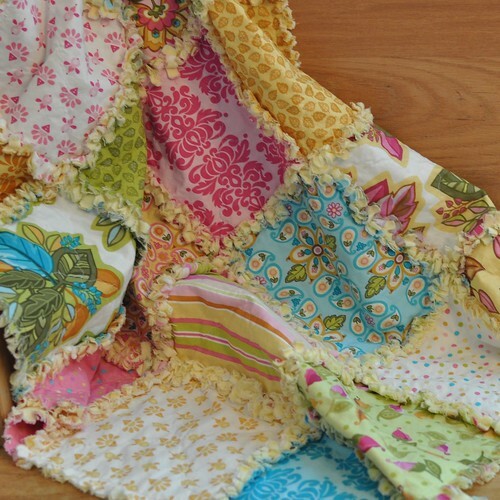 It's the first quilt I hand tied rather than quilted. 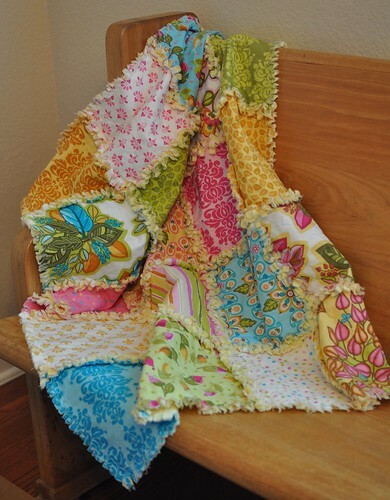 Here's another baby blanket gift for a couple at church. 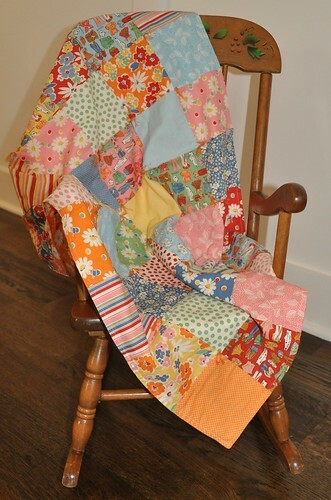 It's a rag quilt; my first one. I did it without instructions, so I'm sure there's an easier way, but it turned out cute and I saw them actually using it. I LOVE seeing these things actually being used! 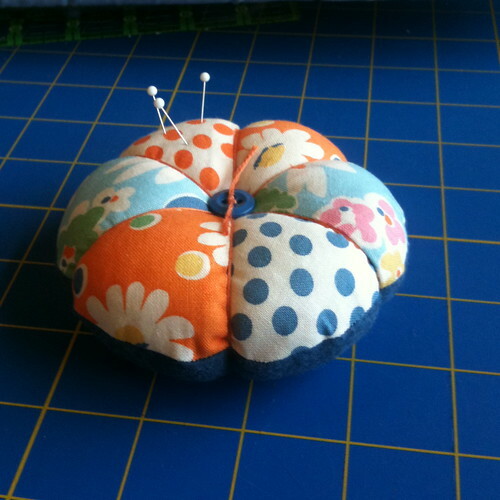 I made a little pin cushion for a sweet friend. Shea made a pillow case. I love to see her sew! I knitted Shea a sock on the way to Florida. This was in the hotel room. I'm not sure what I got distracted with on the way back, because she still has only one sock. Humm. 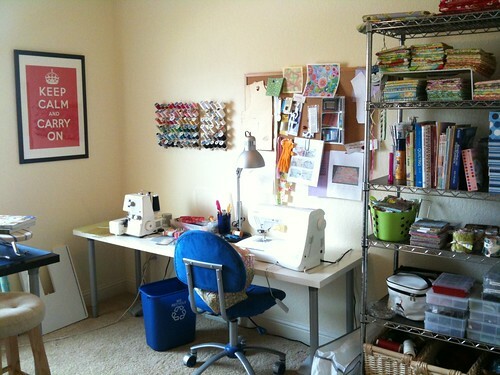 I got my sewing space set up in the temporary house. It was kind of messy in this photo. I'll take another when it's been picked up. 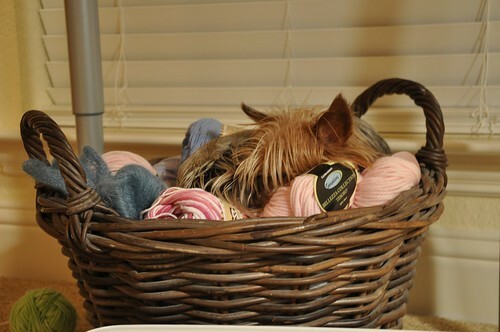 Gizmo, my 12 year old Yorkie with cataracts, found a cozy place to sleep in the sewing room. 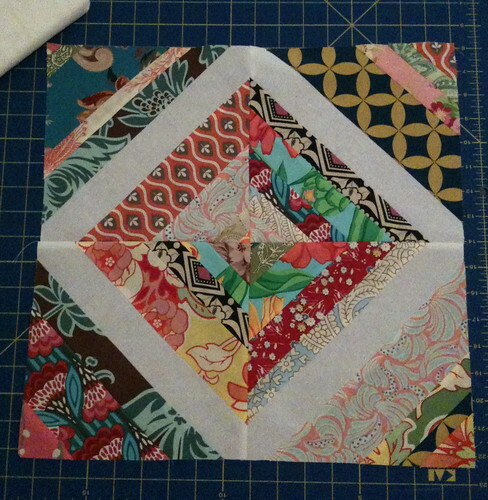 I made a test block for a string quilt. I love it! I started on one using some of my Heather Bailey fabric. I'll post it later. 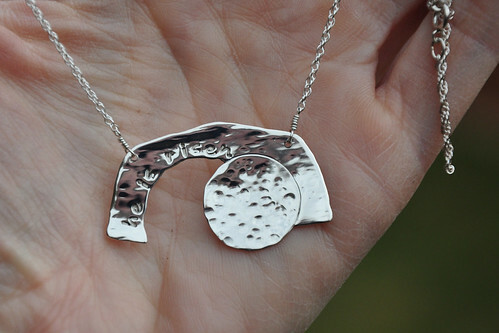 I made this necklace for a wonderful woman who speaks at my church's ladies fellowship each month. It's an empty tomb and says "he is risen". I don't have upper-case alphabet stamps yet, but I'm sure He understands. 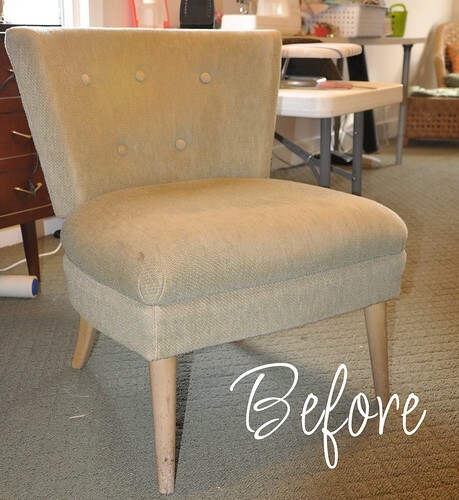 I finished a re-upholstery project I started about three years ago. 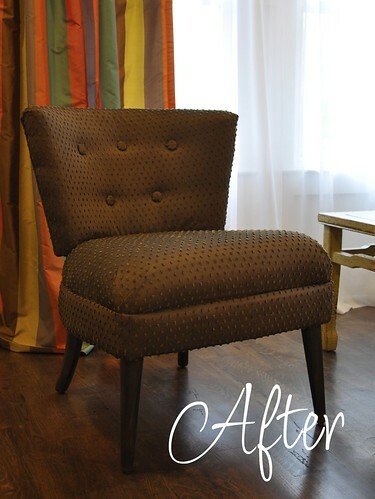 And I found another chair just like great-grandmother's chair at the antique mall! 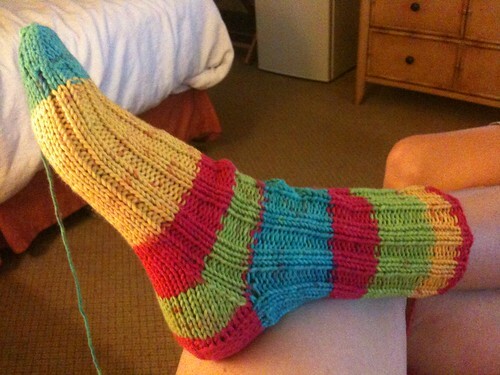 I snatched it up and can't wait to finish it so I'll have a pair! It's a Kroehler chair from the early 1950's. 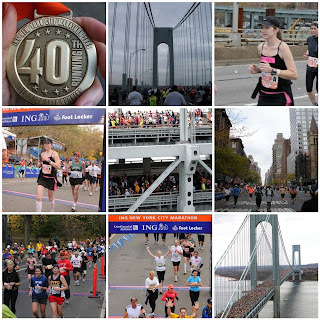 And lastly, on November 1st, I ran the New York City Marathon. A-M-A-Z-I-N-G! I realize now there have been a few things I've done that I don't have photos of, and some of those have been given away. I've got the jewelry studio operational again and have done some painting too. I'm back in that spot where I have so many things going that I don't know where to start!